You probably know what a cliffhanger is–a surprise or story twist that leaves the reader hanging at the chapter’s end, so they are compelled to turn to the next page. Sort of like every episode of Lost ended with one character or another in dire straits… Compelling you to queue up the next episode IMMEDIATELY. But how seriously should we take this whole cliffhanger concept? I mean, how many surprises and plot twists can an author pull out of her hat without going overboard? If you’re anything like me, you’re thinking, Great, but how do you DO IT? I need something more than “make it a cliffhanger!” when I’m trying to crank up tension at my chapter’s end. What I need is a list of possibilities, ideas to help me start brainstorming. So I asked myself, what do my favorite authors do to ratchet up the tension at the end of a chapter? Read on for a slew of great examples from Jim Butcher’s paranormal bestseller Storm Front. The first, most obvious type of cliffhanger is when Something Unexpected Happens. Note that “something happening” doesn’t always have to be huge. The character reacts internally to events. As a story nears its climax, it can become progressively more difficult to throw in new plot twists and turns. At some point, your character may simply be on a difficult, but pretty much linear, trek towards the climax. Although you want to avoid predictability, you also don’t want to dump in surprises just for the sake of surprises. So how do you end a chapter on a cliffhanging note if nothing new really happens? It turns out that the best writers have a few other cliffhanger tricks up their sleeves. Summing up the situation can also create a cliffhanger by reminding your reader of everything that’s gone wrong for your hero. I still felt sick, could still see Gimpy Lawrence’s eyes as he died. I could still hear Linda Randall’s husky laughter in my head. I still regretted lying to Murphy and I still had no intentions of telling her any more than I already had. I still didn’t know who was trying to kill me. I still had no defense to present to the white counsel. Similarly, the chapter ending provides an opportunity to paint a picture of the dire situation that lies ahead. And so, I walked through a spectral landscape littered with skulls, into the teeth of the coming storm, house covered in malevolent power, throbbing with savage and feral mystic strength. I walked forward to face a murderous opponent who had all the advantages and who stood prepared and willing to kill me from where he stood within the heart of his own destructive power, while I was armed with nothing more than my own skill and wit and experience. 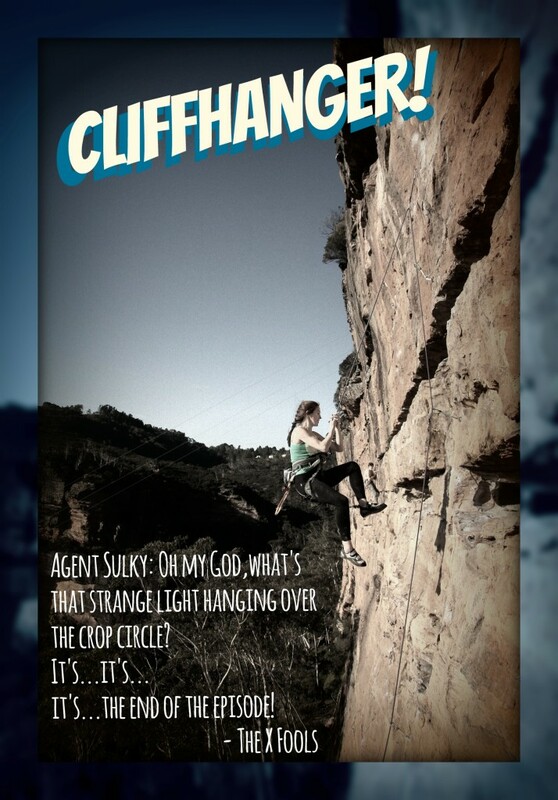 Cliffhangers keeps your readers reading by building story tension…when they’re done right. Have any questions or more awesome examples? Please share in the comments!